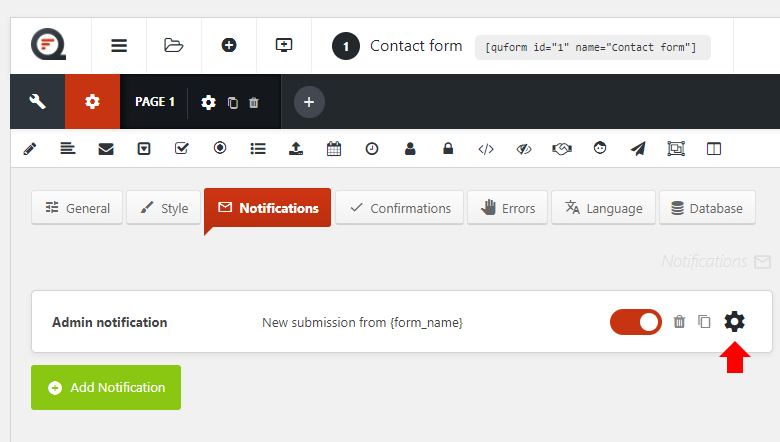 Quform WordPress v2 DocumentationFAQEmailHow do I set up conditional recipients? Turn on the option Enable conditional recipients and click the Add conditional button. Enter an email address, then click the Add logic rule button. 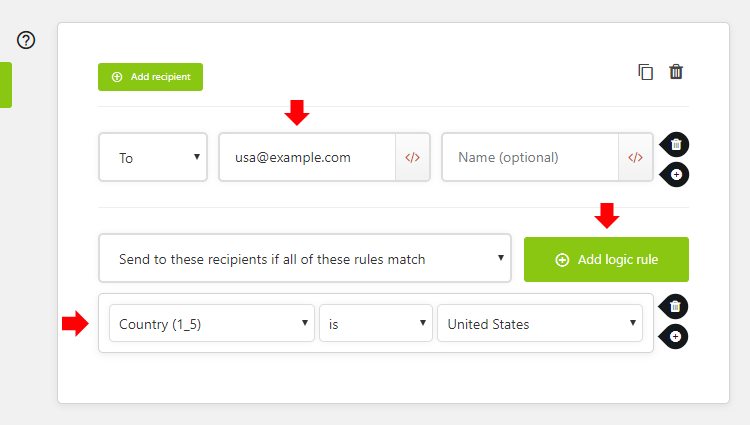 Configure the logic rules to match the conditions that should send the email to this email address. You can add more recipients to a single conditional by clicking the Add recipient button. If you want to send this notification to another email address for different logic conditions, click the Add conditional button and configure the new conditional as needed.